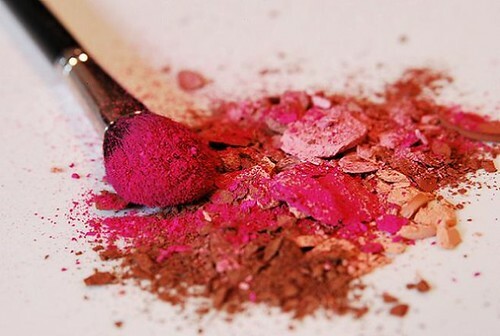 There are many different shades of blush in different forms; powder, cream, gel and even mousse. Blush can be one of the most important tools in your beauty regime. When applied correctly blush can bring the perfect shade to your cheeks making you look happy and natural. Applied incorrectly and suddenly you look clownish. The biggest and best tip to blush is to start with the less is more option. Get a little blush on your applicator and apply lightly to the apples of your cheeks. The simplest way to apply blush to to SMILE!!! Yup! A nice big toothy grin! See where your cheeks pop out nice and round? That’s where you want to start. Then pull out towards your temples. You want a heavier concentration of blush (but not too much, especially for day time, remember less is more) on the apples. Then come back and blend it out using a small soft circular motion. Blending will make your blush look more natural. 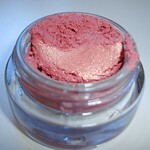 Cream: this type of blush is great for dry or mature skin. It often contains moisturizing ingredients and will give a soft, velvety look to your skin. This is easiest applied with clean fingertips. Mousse: similar to cream and sometimes called whipped, this type of blush is beaten to increase the amount of air trapped within the cream which makes it denser and easier to apply in smaller, lighter amounts. This type of blush tends to be better for dry skin but isn’t long lasting. Gel: suitable for all skin types and fantastic for a great matte finish with a fresh healthy glow. 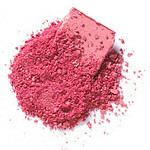 Powder: the most common and most popular by far of all blush types. It is the easiest to apply and comes in a variety of finishes such as matte and frosted for a dewier look. This type tends to be better suited for oily or combination skin, but almost anyone can wear it. Finding the right shade to suit you can be a bit tricky. Pinch your cheeks and see what color they turn! Crazy I know. You can even check out what color your cheeks are after a cardio workout. 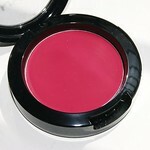 In both cases, this creates the most ‘flush’ in your skin and will point you in the right direction of blush selection. Are your cheeks more red? Pink? Peach? Coral? Most MUAs tend to use two shades of blush. It’s asking for more products and time, but this is a pro tip. Find the shade that best suits your tone. Then pic out a second shade of blush that is a bit lighter. Apply the darker shade to the hollow of your cheekbones (aka, make a fish face! The part of your cheek that sticks out is your cheek bone, the hollow is underneath) and the lighter shade to the apples of your cheeks. The same in real estate for location, location, location, the best pro tip any MUA will give you is BLEND! You really need to blend the colours together so there is no visible line. This is a sure fired way to get that perfect healthy glow.